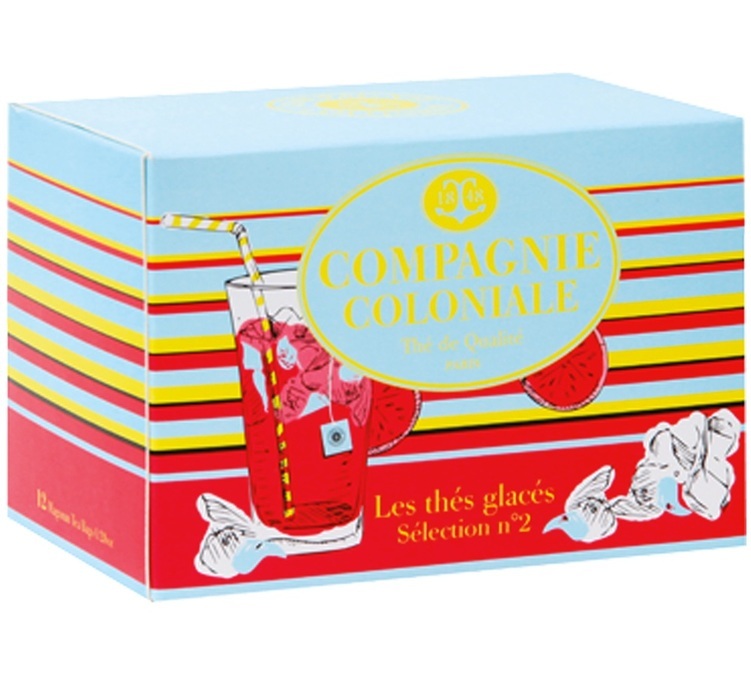 Succumb to the fruity and thirst-quenching iced teas from Compagnie Coloniale. This selection box containes 12 x 12g sachets with 4 different flavours : 'Thé des Impératrices', 'Yuzu Etoilé', 'Rooibos à la folie' and 'Reine des vergers'. Infuse 1 sachet for 4 minutes in 1/2L of hot water at 80°C, let it cool and put in fridge for 2 hours.